So that was the mass debate (stop saying it quickly at the back). Seven adults shouting at each other repeating their prepared soundbites. Except I would have to say it was better than that, particularly when the leaders got into debating with each other, and questioning each other, meaning that they weren’t then trying to avoid journalists’ questions but had to answer each others’ points. It was quite a sight seeing multi-party politics made flesh, and having three women up on stage as party leaders was refreshing, particularly because of their different debating style. There was no knock out blow, which I suppose was because that would be very difficult in a seven person debate. But we still learned a bit about each person. Natalie Bennett – it is worth remembering that she started with impossibly low expectations and really couldn’t do much worse. She started off very nervously, looking down constantly during her opening statement, but then settled into a performance which I will remember most for how she was able to help (possibly inadvertently) end various skirmishes with her habit of talking briefly, making a point, not attacking anyone else, meaning moderator Julie Etchingham could move on. Her comments on making sure there was no profit to be made in the NHS were very popular, and having listened to Nigel Farage claim he wanted to drop Foreign Aid she insisted she wanted to raise foreign aid, and her other comments on immigration and the EU were consistent with engagement with the outside world, making sure people realised that they could protest against the mainstream party without having to hold their nose quite as much as they might have to by voting UKIP. Nick Clegg – His entire strategy was to remind us that the Liberal Democrats are needed to ‘soften’ the edges off both of the mainstream parties. To remind us all that they would want to cut less than the Tories and spend less than Labour. He started off with a speech to remind us of that, and then proceeded to try and distance himself from both the Conservatives and Labour. Unfortunately for Clegg, most people will recognise that distancing himself from the Conservatives when he has spent five years helping to lead a coalition with them involves quite a bit of dissembling to say the least. He was asked about tuition fees, and decided to go with the approach that the £9000 tuition fees were the ‘next best thing’ to no tuition fees, which as we know was the Lib Dems’ commitment before the 2010 election. The polls after the debate didn’t do him many favours, and the country’s opinion polls aren’t doing him any favours either. Cleggmania won’t be happening this time. Nigel Farage – at half time, he was winning the debate. At full time, he was second to Nicola Sturgeon. This means that Farage won out of all the parties who cover the whole of the UK. Farage, to me, looked really rather strained for the first half of the debate, sweating, and looking grey. He decided, on the NHS, to go with an attack on use of NHS resources for foreign recipients, in particular those with HIV. This brought gasps, apparently, in the press room, followed by applause from the audience in the studio when Leanne Wood told him he should be ashamed of himself. This was an interesting line for him to take, but meant that no-one attacked him for his much reported comments on asking people to pay for NHS care through a system of insurance in 2012. Farage was on safer ground after the break on immigration, and was certainly the most animated person on the panel. That he was attacked from all sides would help him and UKIP, because he does like to style himself as an outsider. I don’t think he would have picked up many new votes tonight, but he may not have lost many either. Ed Miliband – What most people will remember from this debate is Ed Miliband staring down the lens at them when he spoke. A lot of people on Twitter were complaining that he was ‘creeping them out’. This showed just how carefully trained he’d been, and he wasn’t really capable of pulling off not looking rained to within an inch of his life. But he did give an assured performance, making very clear the message he wanted to give to the public, which was that of what he would call a ‘better’ and ‘fairer’ plan. An example of this was that when he talked about the deficit he was the only one who actually went through his official three point plan for doing so. He also talked as well about how he would raise money for Labour’s ‘Time to Care’ fund. The ICM/Guardian poll had him as a winner, and I could see how that might be so. Leanne Wood – She opened up by saying that she was speaking to the people of Wales. There was some debate over whether this was a good idea given she was on live television speaking to the whole of the United Kingdom. But as the only people who could vote for her live in Wales I suppose she was mainly making the most political hay she could. She made a very interesting point that to pull out of the EU there should be a Yes vote in every one of the four countries of the United Kingdom before the UK pulls out of the EU. Her attack on Nigel Farage, telling him that he should be ashamed of himself for his comments on HIV positive migrants getting treatment on the NHS, was the recipient of the first round of applause. She seemed to have difficulty cutting through to the audience having made clear that she wanted to talk about Welsh issues. Nicola Sturgeon – The immediate poll by YouGov of 1100 respondents immediately after the debate had her winning by a large margin, with 28% of respondents saying that did best. I wasn’t surprised. First that she did so well, given she is so battle hardened after the Scottish Referendum, but also, frankly, because she is an excellent debater who speaks with a purpose, with integrity, and connects very well with the audience. She spoke beautifully about why the SNP insists on free tuition fees and she was fare more positive than people would have seen in other performances. She didn’t necessarily come up with any great lines, but she didn’t need to either, as she just seemed to exude confidence and competence. In fact, I ended up thinking that if she didn’t want to break up the UK she might make a very good Prime Minister! David Cameron – As Labour’s Shadow Home Secretary Yvette Cooper said afterwards, Cameron seemed to shrink on stage, hiding behind the other speakers and only speaking when he had to defend himself. The more people on stage the better for him, and the inclusion of SNP, Plaid Cymru and Greens did mean that Ed Miliband got the expected attack from the left even while Cameron was the recipient of the expected attacks from Nigel Farage as well as from the others. Towards the end of the debate he perked up, taking on Miliband in particular on the NHS and also on the economy. His frustration with Nick Clegg was palpable, at one point having to remind David Cameron that they had taken decisions in the Cabinet Room together and he wasn’t impressed with Clegg seeming to attack him for policies that he had actually been involved in. Possibly for him the most important thing that didn’t happen was that there was no knock out blow. He didn’t LOSE. That, in the end, when you are Prime Minster at the end of five years of austerity, is a bit of a victory. Every time Ed Milliband spoke it felt like a RSPCA advert. Also did you feel that Nicola Sturgeon got so much more airtime than the others? Was that just cause she was talking over everyone and wouldn’t be quite? I thought Nigel Farage came out best 100% he was the most relaxed and I thought the fact he wasn’t afraid to speak his mind was a good thing. Some good points, and it shows just how differently everyone will see it, which is no bad thing. I thought Sturgeon got the same time as everyone else but what she said was delivered With such authority and clarity that it did seem like she dominated. Miliband had been trained to look at the camera but couldn’t find the camera and it just looked forced. As for Farage, opened well, but then looked like a pub bore at times and couldn’t control his temper when challenged. To want to cut foreign aid then complain that people with HIV are turning up for treatment on the NHS is an example of how the outcome of UKIp policies don’t stand up. But it is interesting you thought otherwise and many others did too. 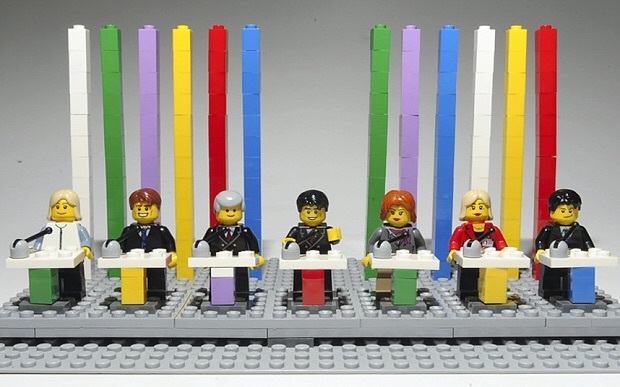 The bbc question time programme is the next highlight, I have the feeling that Dimbleby might succeed in ‘getting under the skin’ of the party leaders in a way that this debate failed to on occasions. But, what we should all bear in mind is the fact that itv (just) made a debate en masse work, something that so far has been overlooked. I felt that Nicola Sturgeon and Leanne Wood (surprisingly) came out best, but that might be because they did not need to get involved in the ‘UK wide’ debate, even though they did on occasion, the beauty of being a regional party. ‘Dave’ did well to hold his own, but was always playing for the draw, even though at times it seemed as if he was fighting the last election. Ed looked slightly empty, maybe his ‘from the left thunder’ was being stolen and Nick Clegg after a strong showing in 2010 looked a shadow of himself, epitomised by charging in first question to attack the Tories.